Storage (or lack of) is our 21st century disease. 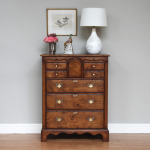 We at Titchmarsh & Goodwin specialise in plenty of capacious chests, a selection of wonderful wardrobes and divine dressers. 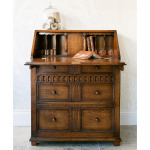 But we have other pieces of furniture too that are cleverly dual purpose and have concealed storage. 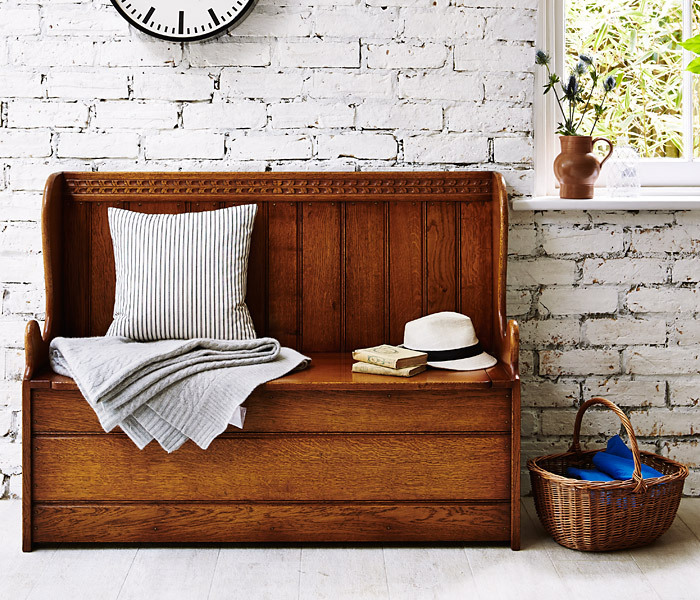 Our box settle pictured is both a seat and a handy storage box for shoes and wellies in a hallway, blankets in a bedroom and toys in the playroom. Genius! 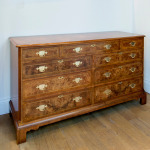 And below, we have three other great pieces of furniture with plenty of drawer space for a more organised life.